April already? honestly where are these months going? it feels like this year is going at lightening speed which in a way is great because it means my exciting Disney adventure is getting closer and closer but I wish it would slow down ever so slightly so I had a chance to breath, oh and save for said holiday. But another month has passed which means another pre holiday Disney movie night, I cannot believe I've now held the 4th one and we have only 5 left before it's finally time to jet off. 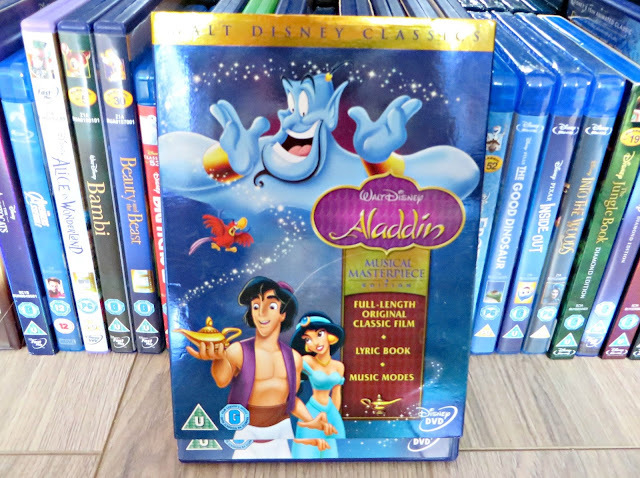 This months choice was Aladdin, now I probably say this about nearly every Disney film but Aladdin is really up there when it comes to my favourites. It's been one that I've always loved to watch over and over, and no matter how many times I watch it, I'll never get bored. Robin Willams, for those who don't know which I'll be hugely shocked if there are any of you, gives voice to my favourite character in this film, the Genie and does an absolute amazing job at it, I'd even go as far as saying the Genie is actually one of my all time favourite Disney characters, I love him. I remember seeing the stage show at Disneyland California back in 2009 and was amazed by how great it was, unfortunately I won't be seeing it this year because it's gone and been replaced by, yes I'm sure you've guessed....Frozen, more Frozen (don't get me wrong I like that film but I'm fed up of Frozen fever). Anyway, thinking of the food for this months movie wasn't really a tough one, not compared to some months anyway and I opted for kebabs and more kebabs. Yes, I did Chicken kebab for main and kebab for dessert, of course the dessert ones consisted of strawberries and marshmallows with chocolate sauce and not traditional meat kebab ;) I also baked a 'magic carpet' cake, using smarties and sprinkles to decorate the yummy sponge. And that's another month passed, this monthly tradition we've created has been so much fun and I can't wait for the next 5, it's really helping pass the time till the trip in a fun way too. 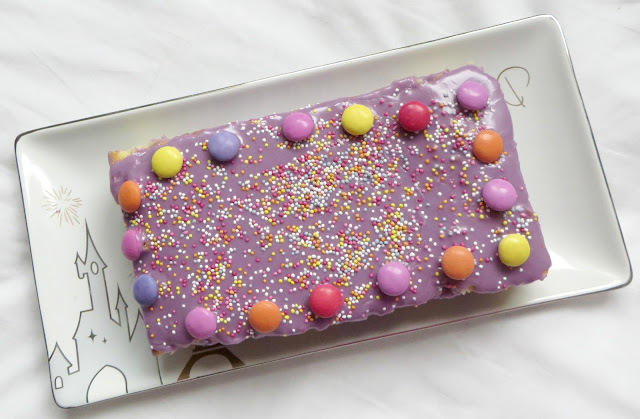 My mum and sister were impressed with the cake too, and it tasted delicious! This is such a great idea I love it. I watched Aladdin a couple of months ago and I forgot how much I enjoyed it. 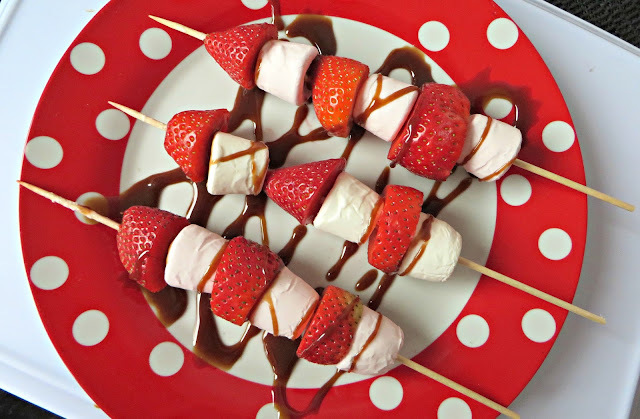 Your dessert treats look super yummy.